There is Southern; and then there is South Carolina Southern. For those of us who have spent our childhoods and any part of our adult lives in The Palmetto State, we understand the subtle differences between these two concepts. South Carolina Southern means Sunday dinners at Grandma's house complete with ham, homemade macaroni and cheese, buttermilk biscuits and never without collard greens. It is knowing that the best boiled peanuts you will ever eat are the ones you buy from a old man and his wife in a pickup truck on the side of a country road. It is knowing that if you can't hear the crickets outside your window on a summer night, you can't sleep. It is knowing that the rivalry between the Clemson Tigers and the South Carolina Gamecocks is not just some simple silly football rivalry. It is recognizing that the foul putrid smell of low country marsh is also familiar and comforting. It is summer days spent fishing in rivers, riding on jet skis and wave runners. It is friendships and young loves found and lost on the sands of the beaches. It is rocking chairs on porches watching sunsets that leave little doubt that God is the best artist of all time. There is perhaps no other author that captures the details of these differences better than Pat Conroy. Pat Conroy has perfected the ability to not only make his low country scenery and settings come to life in dazzling and mesmerizing details; but also to engage the settings and scenery in such a way that it becomes its own character in the story. He transports you to memories of long ago with such eloquence and ease that you are momentarily convinced you've literally been transported back in time to relive them. "South of Broad" is a beautiful, heart breaking and majestic tribute to Charleston, SC. It is a story of enduring friendships, and a study of the bonds and history that weave people together. It is a story of tragedy and sadness, and courage discovered in the least likely of places. Finally, it is a story of the love that develops through all of these things, and survives it all. To be certain, each person in the story is essential to the development and overall execution of the plot; but no character is as complex and layered as that of the central character, Leo King. Leo King is both tragic and heroic, he is haunted by his past and yet driven to his future by it as well. You find yourself reading torn between cheering for him to have a happy ending and wondering if maybe...he just isn't destined to have one. There are tragedies that occur in his life that becoming the defining circumstances of his destiny. He is a man you never want to be; but at the same time you feel proud to know him. I loved this book. 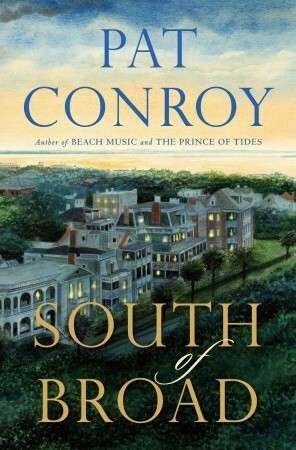 I loved the attention to details that Pat Conroy gives to the history of Charleston. For those who were here for Hurricane Hugo in 1989, you not only read the exquisite details of the storm and aftermath that he captures; but you feel them as well. You realize that you still think of Joe Riley, Jr as the best Charleston Mayor ever! That Bill Sharpe and Debi Chard were the "must watch local anchors" of channel 5; and that if you've had anyone in your family pass away in Charleston, then J. Henry Stuhr Funeral Home on Calhoun Street has handled the arrangements. As with all Pat Conroy novels, the story has many facets that break into numerous tangents and you do spend a bit of time wondering if he will bring them back together again. He does, of course and the final results are well worth the journey.